Proton therapy is a highly precise treatment method, which also makes it sensitive to change. RaySearch understands this, and we’ve designed the RayStation treatment planning system to account for every eventuality. RayStation supports proton therapy systems from IBA, Hitachi,, Mevion, ProNova, Varian and Sumitomo, as well as synchrotrons. The system offers the full range of treatment options, including pencil beam scanning, double scattering, uniform scanning, line scanning and wobbling. The unique features that RayStation is renowned for are also available for proton therapy. Highlights include. Proton therapy centers around the world rely on RayStation’s advanced capabilities and high speed. The system has been adopted by 43 particle centers in 14 countries. A comprehensive approach to lung treatment. RayStation provides leading tools for designing and optimizing actively scanned pencil beams, including IMPT, single field uniform dose and distal edge tracking, with the option to include block apertures or MLC collimation. All optimized plans are directly deliverable since the spot weight limits are taken into account in the optimization loop. Aperture shape can be created using treat-and-protect ROI with user-defined margins, and manual tools can be used to shape and edit. Accurate dose computation is achieved using the Monte Carlo dose engine, including the block edge scattering effect. Block aperture is taken into account in spot selection and included in dose calculation for optimization (pencil beam or Monte Carlo). Optimization of pencil beam scanning and line scanning using multi-field optimization and single field uniform dose techniques. RayStation features a fast Monte Carlo dose engine for proton pencil beam scanning (PBS) plans, which can be used for final dose computation and optimization. The Monte Carlo technique is based on simulating the transport of individual particles, which makes it possible to fully account for the unaltered patient geometry. 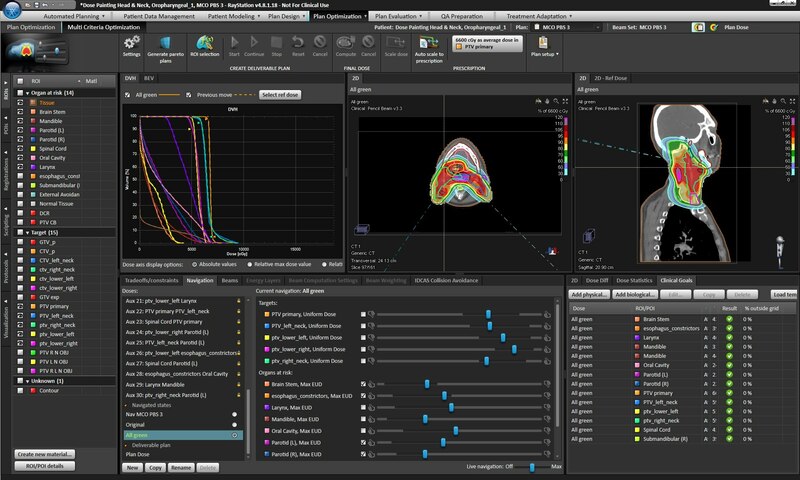 The dose engine in RayStation strikes the optimal balance between accurate physics modeling and speed, making it highly effective in clinical workflows. The Monte Carlo and pencil beam dose engines in RayStation are designed to be used in parallel, ensuring efficient and accurate dose calculation for all proton PBS planning needs. A single PBS machine model for a particular delivery system can support both the Monte Carlo and pencil beam dose calculations, and the beam-measurement data needed for commissioning is the same for both dose engines. The Monte Carlo and pencil beam dose engines can both be used for calculating spot dose distributions as input for optimization, with or without patient-specific block apertures, as well as for calculating a final dose distribution for plan approval. RayStation utilizes a unique robust optimization method that takes the effects of potential changes into account from the outset and makes your plan robust to geometrical and dosimetric uncertainties. Setup errors may optionally be evaluated independently for each beam, or unique isocenter. This technique is useful e.g. for creating robust junctions when field matching is required. The inclusion of 4D-CT images in the robust optimization process addresses situations where there is significant relative intrafractional motion of internal organs, for example in the thorax during free breathing or partially gated treatments. Setup and density uncertainties may be added on top of the 4D image data in the optimization. The 4D data may originate from the CT itself (4D-CT), or by simulating the organ motion in the Deformable Registration module of RayStation. Another use case for the 4D robust optimization in RayStation is to assign different material overrides to the same ROI on identical copies of the planning CT. By employing this technique plans may be created that are robust against e.g. random air bubbles in the Bowel of Pelvic patients. With the multi-criteria optimization (MCO) method in RayStation you can speed up your planning process, while at the same time improving the quality of your pencil beam scanning plans. RayStation’s MCO makes it easy to explore the possibilities and optimize your plan. Choose the parameters to change. Then simply move the sliders for an immediate graphic view of how the plan will be affected. Now included in MCO is robust optimization based on density, patient setup uncertainties and multiple images. Simply define that an MCO constraint shall be robust, and the plan will stay robust as you slide your way through the solution space. The ability to simulate organ motion in RayStation strengthens the functionality of robust planning and plan evaluation even further. With the ability to generate simulated images for organ motion the full effect of the changing anatomy can be evaluated without the need of acquiring multiple patient CT scans. Sets of deformed images is generated based on motion expectation for a user selected ROI. The organ motion will affect the overall patient anatomy in cooperation with specified fixed areas. The generated group of motion image sets can be used for both evaluation and as input when planning robustly against intra-fractional or inter-fractional organ motion. The RayStation® treatment planning system is specifically designed to make adaptive therapy faster and easier in clinical practice. It includes modules for dose tracking and adaptive replanning. 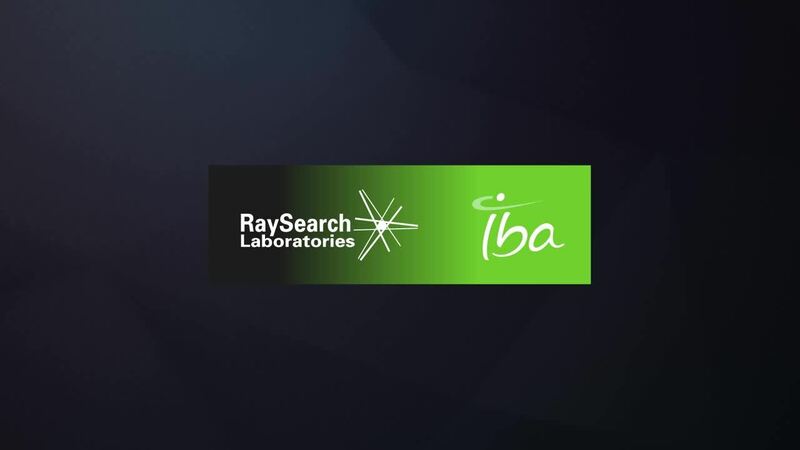 We are also developing, in collaboration with IBA, an online adaptive workflow solution* where daily cone beam images are taken and matched to the planning CT for a particular patient. Based on the daily images, an updated treatment plan can be automatically suggested to the care team at the time of a treatment session. A plan adaptation that takes the patient’s current situation into account can thus be made before treatment delivery starts. This workflow benefits patients by allowing for more accurate treatments and faster plan adaptation. Because RayStation is a complete treatment planning system that supports many different modalities, planning of proton treatments in conjunction with photons is possible. The fallback planning module also enables proton plans to be converted into photon plans, ensuring there is no interruption in treatment. RayStation provide modern tools for efficient planning of uniform scanning, double scattering and Sumitomo wobbling. RayStation helps the user create clinical treatment plans and subsequent milling machine instructions including the automated creation of compensators and blocks with manual editing possibilities. 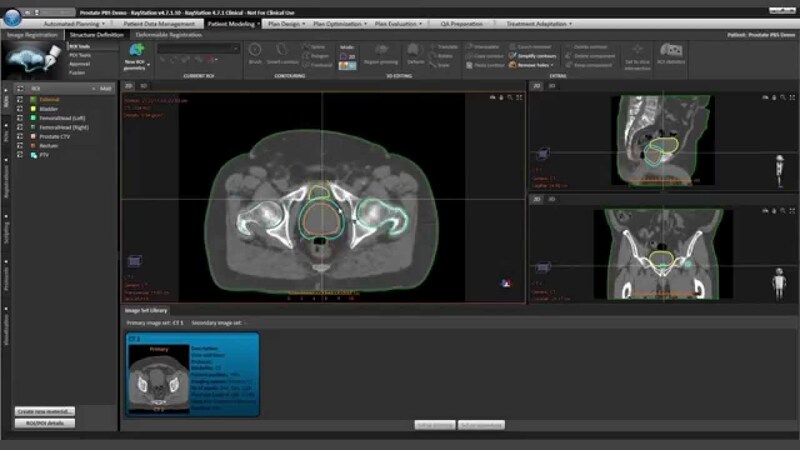 See how Provision Center for Proton Therapy achieve great results in Proton PBS with RayStation.